I would like to discuss the extreme volatile sessions of our stock market experiencing by last few months and the related reflections on investor community with a recap of recent market history. Such unstable moves are generally familiar to the experienced investors, but extremely difficult to comprehend for freshers. People who make investment decisions on tips or rumors are the farthest victims of such volatile bops occurring in indices. It was severely destructive to those who entered in the market around the crest of Bull Run in Dec 2007 - Jan 2008. A large number of investors vanished from the market forever as no way back. Lost their entire savings of life, a few of them ended their lives. I personally know some victims, facing enormous financial stress and family problems due to the steep and unmanageable losses they faced. The irrational upward pace of indices, stories of the exaggerated gains of colleagues/friends and the baseless predictions/tips of spurious market experts trapped a majority of investors at the peak levels. What is the root level reason of such drastic loses which forces someone to even end their lives. I would like to summarize the answer in few words, Lack of genuine knowledge. I am not skipping the greed factor, but the origin of such obsession too from lack of certain comprehensions. I wish to stress on the words “Genuine Knowledge”. What is that ? Where we get such valid information related to investments? Or how can we realize whether recommendations, suggestions, predictions or tips are genuine? There is no any defined parameter to measure the content’s legitimacy. But I can say, if you are getting logical answers for credible questions raised from your sense after read/view/hear the content, you can include it in your watch list. Still you have to examine and find the adoptability of that content by thorough study. Lack of such comprehension is the only reason, makes some one greedy, or forced them to invest on the above said hot but non genuine tips/rumors. But still, a very few of the investor community is cautiously responding to the market from the lessons they learned. The majority of investors are still in row of seeking easy tips for short term gains. (We always forget things to remember but keep remember what to forget.) They are putting their hard earned money without even the basic knowledge of economy related issues, company/scrip, most of them even not aware the product/service the company offers. Let me recall the then market scenario while sensex at 21000 levels around Jan 2008. The so called market scholars were talking about the coming 25,000-30,000 and even to the 40,000 levels. You will surprise if check the statistics in those days, the investment figures of FIIs and our great intellectual Fund Managers. 90% of our Fund Managers were proved their worst competency in the bear market, a phenomenon, which most of them never experienced in their career. The great, so talked intellectual investors and some real brothers of Warren Buffet also busted out, even if, they are still making prediction on the market. It is really witty if you go through the then comments/predictions of these great people. Any how, It was a crash from 21206 to below some 8000. Some of us burned exceedingly, but still struggling to survive. Some pledged not to make a look never to the market again, But that inevitable collapse raised a lot of questions and provided some answers well. Its also significant to quote here that, the newest in that category of baseless predictions is “Sensex at 21000 by August 2010”. Be careful!, these are the people who build castles in the air for 40000 levels in 2008. I am agree, this level is possible with in the time frame, but no solid base existing for a firm prediction. The market were slowly recovering on the mixed feelings of parliament elections. The election processes started on 16 April where the sensex was at 10947.40. The previous day of result declaration, May 15 it was at 12173.42, 11.2% gain within a month. Just see the emotional reliance on market. The historical victory of congress leaded UPA coalition and the hope of a stable Govt made a thrilling effect on the market on the first day after result. 18 May 2009 Monday, the sensex rocketed a 2110.80 point in a single day (20% ). Again the sentiment driven ecstasy. We crossed a long way even if the stock market indices are not the exact indicators of growth and economical soundness of a country. The market always responds in advance. We crossed the 15000 levels in early weeks of Jun this year. A huge 7000 points gain in just three months!. Compare, how many years we took to reach the 21000 level. Now we are easily jumping 1/3rd of that or 7000 points in just three months. The changing scenario! Can we think it as a preparation of another bull run? or Will the market fall again to those down levels? 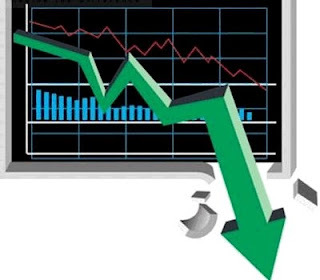 How we react to the market? …. Do you think you are missed the bus? or Can we enter now the market without fear ? A lot of questions are there. I think, the following lines may help readers to presume answers hopefully. The reasons of global economical slowdown is screening as Sub prime crisis, undisciplined banking practices and other related sentiments seeded especially in US and Europe. Developed countries showed the symptoms first, affected worst and will lasted for little more periods. According to India, we tainted much later but started recovery earlier than the US and Europe. The world market is still struggling on negative sentiments but we just rocketed on the election results. Everyone were suspicious on the strength of this market, is it continue? Is this stable? Again, the above said experts started worthless comments. 17000, 19000, 20000, and some even dared to predict a 25000 level within three months. But the market again fooled everyone. If the Govt action favours the market, it can even cross the previous heights. The strongest banking system was the key factor which saved the Indian economy and will keep support as our great strength. Growth expectations, projected internal production figure from 4.4% to 6.2%, overwhelming industrial growth graphs etc.. all are in positive line. Govt’s favourable stand to the market will give more stability to the market in coming days. The divestment news of public sector companies is thrilling news to the market as usual. The mass and dynamic agricultural renovation programs planning by the UPA Govt is another vigorous factor for the market. The budget also had tremendous positive and deliberate motivational contents for the market in long term. The negatives are, certain stocks are over valued as the entry price is an important factor of your investment decisions. So make the verdict very cautiously. The other negative factors are, global markets are still struggling, and will take little more time to stabilize. The steadiness of our economy is closely related to global markets up to an extent. So expecting a constant growth in immediate future is not logical. A numerous downs and ups ahead of us before the anticipated consistency in the market. As I said, the entry price is equally important to selection of stocks. So accumulate good stocks at good valuations in small batches at every falls. A few history; It was not the first time market getting such a heavy crash. There were a 49% correction occurred in the market in 2000-2002. In 1973-74 it was 48%. The trend is to north. But is nothing comparable to some collapses occurred in global indices. US indices collapsed some 89% in 3 year span (1929-32). UK indices corrected some 72% in just 32 months (1972-75). The Tokyo Index crashed about 48% in just 9 months and a 64% in 30 months. I would like to stress here as, history will definitely repeat with us. My intention is, even if we are talking about the long term investment strategy, we have to be very cautious on the economy. We are predicting another bull run or mother of all bull runs yet to come. If so, I will say, mother of all crashes definitely ahead of that. I think it is always better to scrutinize and perk up our own strategy than distressing about the market compositions as no one can challenge the market. An investor is a very tiny part of that phenomena. 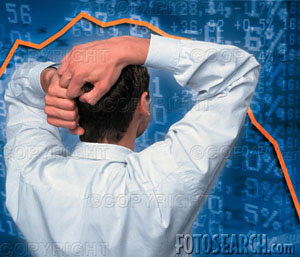 The direction of the market is guided by emotional sums of millions of investors. An investor cannot change the direction of market. Means, we have to rationalize our investment decisions attuned to the market way. Never try to defeat the market. It is impossible for a common investor. A person who makes decisions according to the market sentiment will never lose. Market is big, market is always right, respect and follow the market trends for making good money. There is no need to be miserable. No one missed the bus. The bus is still there and will always, with enough seats for you. You can even make this time right for you, if you select stocks with utmost care. A large number of undervalued stocks in every emerging/potential sectors are still available in mouthwatering prices. Still you can apply the great accumulation theory, will do miracles in long term. Readers are requested to comment whether negative or positive will encourage me to share more in this row. The goal of this post is to highlight various facts on the fast growing and indisputable emerging zone `Vaccines’ with an investment point of view. I am conscious, as ethically it is not okay to observe such outbreaks of pandemic infections as an investment opportunity. But if we spared from this current wave, surely have to use it as an opportunity to invest in vaccines :-). 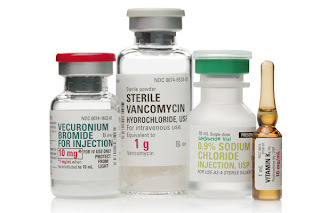 Typically Vaccine segment is an ancillary of evergreen Pharma sector, rapidly picking up the pace its own, in vicinity of appearance of newer and mysterious pandemic ailments day by day. The principal factor driving the vaccine market is its potential to avert deaths from a vast range of diseases. Vaccines have eliminated numerous life-threatening diseases and many more vaccines are under R&D, which may serve as future life saviors. Vaccines have emerged as one of the most beneficial segment in the global pharmaceutical industry, with a projected CAGR of over 16.52% during 2009-2012. The recent flare-up of H1N1 flu in our country, people are highly sentient to the significance of vaccines, which can effectively thwart the disease as well as from spreading. The discussion on vaccine to curb the H1N1 infection has become a hot subject around the world and it is almost materialized. It is truly weird that the names of such diseases were not even heard a decade back and it is still confusing whether the names are new or the diseases. It is quiet lucid to expecting much more such epidemics in coming days. As the number of diseases is growing worldwide, global vaccine industry is also toning tempo with the same. India is emerging as a key spot of vaccines and is listed to play a leading role in the vaccine market of the globe. An unofficial reckon of the WHO reveals that manufacturing facilities across the globe may be able to produce only 900 million doses of A(H1N1) vaccine every year and since every human being needs at least 2 doses of the swine flu vaccine. Means a vast majority of about 7 billion world population will remains unprotected. Countries in Asia, Africa and Latin America are expected to be the worst affected according to WHO Director Margaret Chang. The same case with most of such infections, it is not enough to formulate the right vaccine for any syndrome, but the requisite production facilities and apt logistics is also a big issue which is a deadly concern to billions of common people. 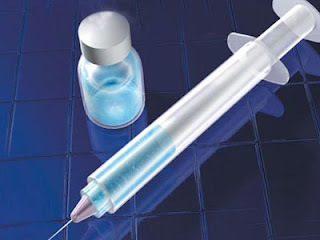 India is gradually becoming the favorite hub for vaccine development and manufacturing industry. The environment is very much handy for vaccine industry in India. Let me list some key supporting factors which driving the growth of vaccine market in India or why should we invest in these companies, manufacturing life saving vaccines, with a long term perception. 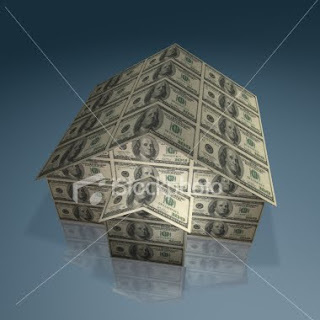 I hope following factors may influence your investment decisions among this thriving sector. 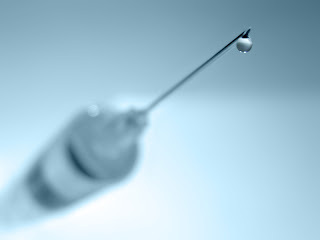 Stable demand assures the growth of industry -As of now, the pediatric vaccine segment is, and will continue to be the most vital part of the total vaccine market. The medically standardized vaccination structure for children in frequent intervals up to 5 years of age is a compulsory practice. It’s the sure business of vaccine industry and the consumption is soaring day by day. Increasing birth rate as well as growing awareness on pediatric vaccination- The birth rate is estimated to decrease gradually in the long run by increasing awareness of family planning etc. But in view of country's current larger population comprising young/productive ladies, the number of new born babies in next 5 years will continue at a stable and relative high level. Means, its hardly possible any decrease in Vaccine consumption in the near future at this stratum. Govt aided mass vaccination programs for fresh and deadly ailments. This will unquestionably boost the sale of vaccines. Some mutual beneficiary schemes are under planning stage by the Govt with leading Vaccine manufactures. Govt aided mass child vaccination projects. Frequent and bulky vaccination programs for children by the Govt of India are a stable market for Vaccine industry (Oral Polio etc.). For example, one of the leading Indian vaccine manufacturers earning more than Rs. 500 Cr per year from such domestic business. The increasing awareness on child vaccination in lower/middle class population will make this business brighter. 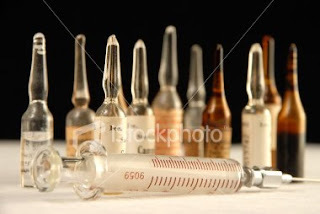 Increasing awareness on vaccinations - The public awareness on the significance of vaccination is also rapidly mounting. The recent Bird Flue/H1N1 breakout considerably increased the awareness of prevention through vaccination among the public. The media is also playing a vital role on the issue. The deadliest nature of these diseases thrust people to a “Do or Die” counter to vaccination. Low costs in R&D/Manufacturing/Clinical trials. Compared to US and other European countries, we are doing the whole R&D, manufacturing and clinical trial processes on much lesser cost. The relatively low cost manpower, infrastructure and raw materials are our great potential in this sector. Presence of a large pool of scientific talent/skilled manpower/professionals- Again, it is our one another wonderful strength. We have highly talented manpower in every concerned field especially in Bio-Technology/Bio-Informatics. The full-fledged IT support stream is also help the industry to grow faster. Full-fledged Production / R&D facilities to develop high quality vaccines -. Established and proved high-tech infrastructure for sophisticated R&D and manufacturing processes are one of the key growth factor of our Vaccine industry which is continuously upgrading with the technology advancements. Higher investment in R&D/CRAMS projects - Our vaccine industry players, most of them MNC backed or have strategic alliance with MNCs, are continuously spending much on Research and Development. India is a soil where the business CRAMS (Contract Research and Manufacturing Services) is growing infinite. Various Flu vaccines have huge demand at present and all major vaccine manufacturers are investing in the segment. Vaccines have been found to be more profitable than the generic pharmaceutical drugs. The intention behind such heavy investment is none other than the great future potential of this segment. Increasing local demand due to frequent outbreaks of fresh infections - As I mentioned earlier, the seasonal or frequent outbreak of every fresh infections rapidly increase the demand of certain vaccines. As Vaccines are a life saving substance, people least bothered on the price. The intensified communication facilities boosting the vaccine market every time in havoc. The roles of media in spreading such mayhem on certain fresh ailments frequently shoot up the sales. Bulk and assured orders from international organizations like UN/UNICEF, PAHO(Pan American Health Organization.) Indian Vaccine manufacturers supplies nearly 40% of the UNICEF’s global Hep-B vaccine, distributed in Africa, Latin America and elsewhere. Indian companies supplying 100% oral polio vaccine to UNICEF for the same purpose. Such organizations assure guaranteed business to our Vaccine industry which increasing year by year. The fast spreading nature of fresh ailments - The manner and speed of spreading the new era infections are improbable and difficult to control. The means they spread through, is vary from disease to disease, Mosquitoes, Air or Water etc, which does not have effective prevention methods. It is also common that regional diseases are turning global due to increased traveling. Innovative marketing strategies of Vaccine manufacturers - Unlike earlier, we have noticed some pharmaceutical companies started to promote their vaccines on television/visual Medias and even outdoors in the form of public service advertisements. This kind of marketing strategy helps to popularize the consciousness of disease prevention, hence increases vaccine consumption. It is probable in very near future that media ads for promotion of life saving vaccines, like what we experiences now with consumer durables. Strategic alliances between Vaccine manufacturers - Strategic alliance with local players as well as MNCs makes better business opportunities. It helps the companies to globalize their business as well as sharing technologies/formulations. Govt support to the industry. Central Govt. is planning to materialize some positive and favourable steps towards the Vaccine industry in the wake of recent outbreaks. The PMO (Prime Minister’s Office) and health ministry is already placed hint on such moves. Some state Govts are also planning in the same row and preparing to meet emergency requirements of vaccines. Meanwhile, the largest single purchasers of vaccines are governments. The Govt is also considering to setting up a vaccine manufacturers council, an apex body to promote vaccine manufacture and exports. This will help the vaccine sector to progress into high technology platforms of vaccine production and aggressively tap potential export markets. The government’s Expanded Programme for Immunisation (EPI) has also aiding the industry. Few Players - The Rs 1500 crore domestic vaccine segment have just some 22 players. The presence of just a few players in vaccines as compared with other pharmaceuticals is primarily due to the sophisticated nature of vaccine R &D and manufacturing processes. Means, our alternatives are limited. The emotional part - Above all, the uncertain atmosphere, which create havoc that you might have endure any disease, known or unknown, at any time, most of them are lethal, why would you take a chance. If there is a vaccine, the common man will look no where else. He must to avail not only for him but for the entire family. The possible materialization of much expected vaccines for deadly infections including HIV will boost the vaccine industry in limitless heights. The turn down in the share of vaccine production by developed countries had led to the rapid expansion of the Indian vaccine business over the past decade. Many developed countries are no longer attracted in producing vaccines for various infectious/communicable diseases as their production has become uneconomical due to drastic reduction in the prices and lesser access to markets in developing countries. This has presented a big opportunity for our vaccine industry. As I mentioned earlier, the domestic vaccine sector comprises 22 companies, both local and multinational, selling about 25 vaccines in the Indian market for various diseases. Vaccine industry constitutes 40% of the total biotechnology industry in India. “India is innovating its way out of poverty. With a massive and increasingly well-educated workforce, India is poised to revolutionize biotechnology just as it did the information technology industry. India’s biotech sector is like a baby elephant – when it matures, it will occupy a lot of space. The biotech industry is globalizing rapidly and the impact of India’s market entry and contribution to improving world health is potentially huge” (Peter A. Singer, MD, of the McLaughlin-Rotman Centre for Global Health (University of Toronto).